If you have seen a golf cart transporting someone from the baggage check-in to a distant airport departure gate or observed a college security guard patrolling the campus dorms and remote parking lots, you are aware of several of the great ways these vehicles can be of service in our everyday lives. The fact is they can go anywhere an ATV can go but provide far more comfort. People use them on larger properties to navigate the distance between a house and a swimming pool or stable. They are indispensable as a farm or commercial maintenance vehicle and even to tend your beloved garden, to spread mulch or to mount a plow to move the snow. You may have even seen a cart traveling the concourse at an entertainment venue for a sporting event or concert, or even used as a rental for a wedding or trade show. If you thought golf carts were only useful on the golf course, learn what Hilltown Services has discovered through our 12 years of prompt and professional service. 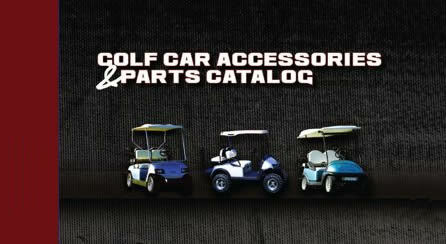 Stand out from the crowd by having us install some of these custom golf cart modifications and features. Browse our picture parts catalog here! 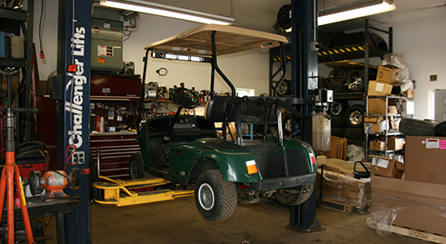 Find out the lengths we go to when inspecting and servicing your golf cart. Mechanical malfunctions got you down? Let us take a look! 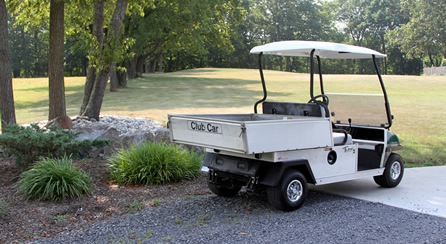 A golf cart can be used as a powerful tool in a number of industries, ranging from utility to recreation. View this gallery to learn more! 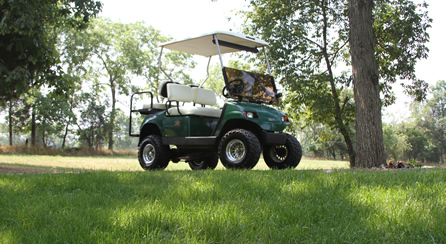 Hilltown Services has been providing excellent golf cart service, sales, customization, and repair since 2001. You may use our website as a resource for learning about different uses of golf carts, finding out more information about our company, and learning how to get your own custom golf cart built.